The making of this ketubah was documented on my instagram account @woodlandpapercuts. Readers of the blog might recognize it from this post. Here's what I love about my job - that people share their stories with me, and I get to learn about and see places I never knew existed. 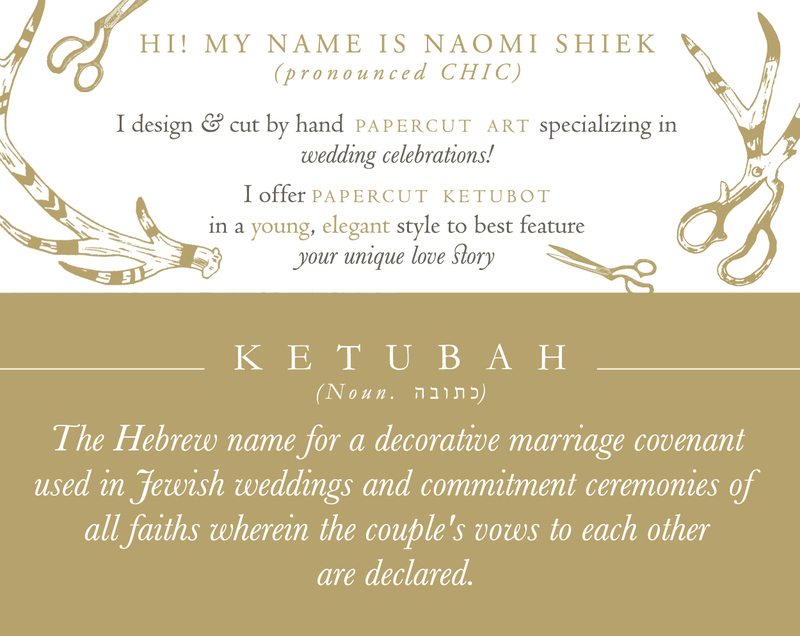 This ketubah embodies just that, and I feel really lucky to have been commissioned by Brittany to make it. Neither Brittany nor her fiance Chris are Jewish, which makes this commission all the more unique! Brittany was familiar with the tradition of ketubot, and wanted to have one as a gift for her beloved, celebrating a very pivotal moment in their relationship. 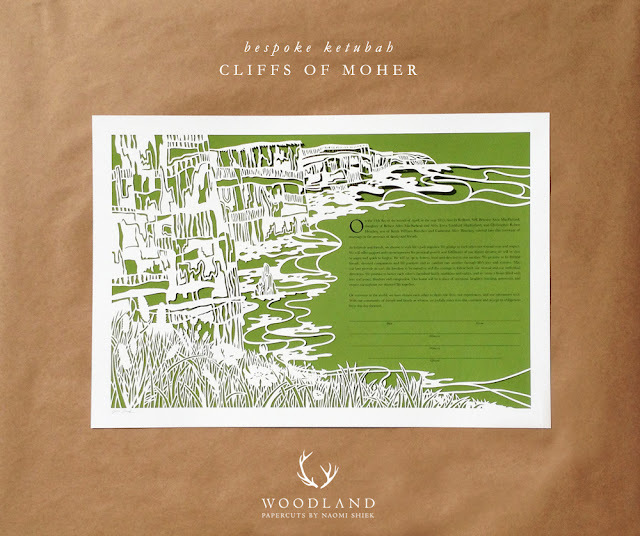 The ketubah depicts the landscape of the Moher Cliffs in Ireland - where Chris proposed! As you can imagine, it was a very romantic moment for them both, surrounded by the majesty of Ireland - even with the giant wave that bore on them right before! - and even though their civil commitment ceremony was back in the States, she wanted a piece of that Ireland day with them. The bride sent me a snap of the ketubah from the ceremony. She commissioned the ketubah as a surprise, and I sure hope it went over well! 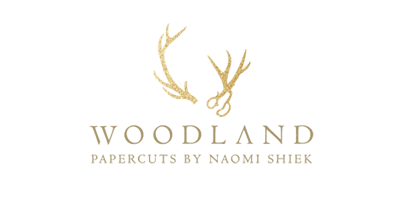 Just stunning Naomi, you are very talented. I love the way that you've rendered the cliffs. I would love to know more about the kind of thing that people write on modern day ketubahs. It seems like it started as an eminently practical tradition but now I expect that it has a little more romance -- am I right? To this day people still choose traditional texts, but mostly the vows written there are promises they make to respect and support each other over obligations and dowry. I love best the ones that couple write themselves, those are personal and romantic! 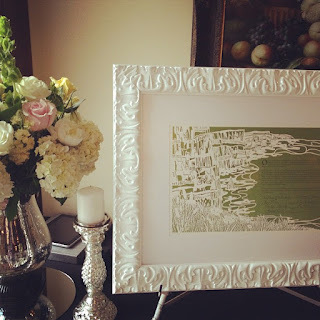 Papercut art is a concept which is completely new to me. The art shown here is very compelling because of how the images appear. The images really display what is not there. This would be a fantastic piece to use a ketubah. It was surely a great surprise to the groom.